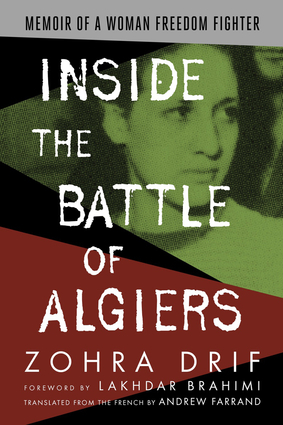 This gripping insider's account chronicles how and why a young woman in 1950s Algiers joined the armed wing of Algeria's national liberation movement to combat her country's French occupiers. When the movement's leaders turned to Drif and her female colleagues to conduct attacks in retaliation for French aggression against the local population, they leapt at the chance. Their actions were later portrayed in Gillo Pontecorvo's famed film The Battle of Algiers. When first published in French in 2013, this intimate memoir was met with great acclaim and no small amount of controversy. It is essential reading for anyone seeking to understand not only the anti-colonial struggles of the 20th century and their relevance today, but also the specific challenges that women often confronted (and overcame) in those movements. In the 1950s, Zohra Drif was a core member of the armed wing of Algeria's national liberation movement, the FLN. She later practiced criminal law and from 2001 to 2016 she served as a senator in Algeria's Council of the Nation. Lakhdar Brahimi is a distinguished Algerian diplomat who has served as the UN's Special Representative in Haiti, South Africa, Afghanistan, Iraq, and Syria. In the 1950s, he was one of the leaders of the FLN. Andrew G. Farrand, a native of Baltimore, MD, has worked in Algeria since 2013 as a writer, photographer, and freelance translator.